Sunnyhill vineyard is located in Horspath in the heart of South Oxfordshire 3.5 miles east of the centre of Oxford. The south facing field was a great opportunity to plant grape vines as the vines get the sun all day long. The views and surroundings are beautiful as you can see the historic town of Oxford and as far as Wittenham clumps. We planted 2500 vines in 2014 Chardonnay, Pinot Noir, Phoenix, Rondo, Orion which are a good selection of red and white grapes for making English Sparkling, White Wine, Red Wine and Ros'e. 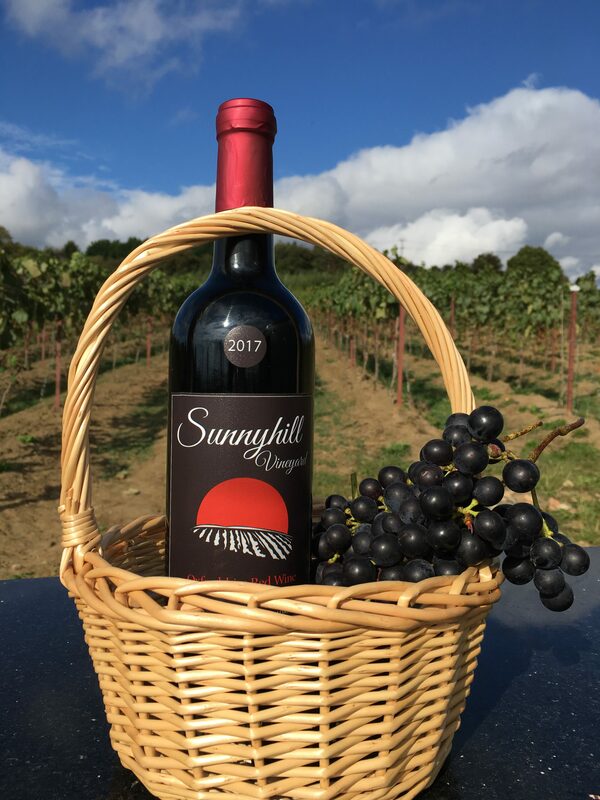 Sunnyhill vineyard is a family run vineyard from growing grapes to making wine on site. As my background originates from the Mediterranean and wine making I wanted to bring some Mediterranean style into English wines. I always believed in doing things naturally so I decided to grow organic grapes to make organic wine. We feed the grapes organic fertilizer which is sheep's manure as we have sheep in the field next to the vineyard. Also stinging nettle fertilizer which is rich in nitrogen, iron, potassium, zinc, magnesium, and calcium. We use a tractor and rotavator to control weeds. To the top of the vineyard we have a small orchard with 250 apple trees to make Sparkling Cider. 2016 we had a small harvest as the vines are still young but we were able to experience and make wine which we will make in the future. January 2017 we were granted planning permission to build the winery, which was a exciting and busy time for us but now is ready we have more space to make wine and welcome visitors.